"Let food be thy medicine and medicine be thy food,” stated Hippocrates. The historical quote stands tall with significant truth and even applies to a common pill we know today as aspirin. So rather than turning to your medicine cabinet, head to the kitchen for these natural aspirin alternatives and substitutes! Aspirin comes from Spiraea, a biological genus of shrub containing it’s key and active ingredient, salicylic acid. Aspirin was first derived from the the willow bark during the time of Hippocrates, when individuals chewed the bark to reduce fever and inflammation. Fast forward to traditional medicine, aspirin is recognized as the first non-steroidal anti-inflammatory drug (NSAID) and sold as over-the-counter tablets. The NSAID continues to be used to reduce fever and relieve mild to moderate body pain, including headaches, muscle aches, and toothaches, along with showing effectiveness in reducing the risk of blood clots, heart attacks, and strokes. According to WebMD, aspirin side effects include upset stomach and heartburn. Although people less often experience serious side effects, aspirin may also cause easy bruising and bleeding, hearing difficulties and ringing of the ears, persistent or severe nausea and vomiting, unexplained tiredness and dizziness, changes in urine output and color, and bleeding of the stomach, intestine, and other areas of the body. Aspirin also interacts with other drugs, including warfarin, methotrexate, and certain types of antidepressants. Nonetheless, there are eight natural aspirin substitutes to lower the risk of such consequences. An anti-inflammation or inflammatory diet is essentially an eating pattern intended to reduce inflammation in the body. And while inflammation is a normal body process of self-defense, too many inflammatory responses can reap havoc and even pose the risk of several chronic diseases. There are numerous causes of inflammation, including external triggers such as bacteria and viruses and ingested food sources. 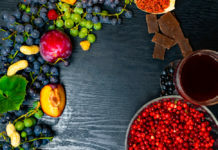 Combat and reduce inflammation by filling the diet with anti-inflammatory foods, including avocadoes, berries, cruciferous veggies, leafy greens, and nuts. Low-dose aspirin is often recommended to prevent heart attacks and strokes, with approximately half of U.S. adults reporting regular aspirin use according to 2012 nationwide survey. While regular aspirin use is supported by the American Heart Association and the U.S. Preventative Task Force for people at high risk for or with a history of heart attacks or strokes, you can also eat for heart and overall health. Reduce highly processed products filled with added sugar and salt and increase whole foods such as whole grains, fresh fruits and veggies, lean and plant-based proteins, and healthy fat sources. And thanks to Balance by bistroMD, eating for a healthy heart has never tasted so good! From blackened chicken with creamy smoked paprika sauce to hickory smoked BBQ, find delicious and nutritious heart healthy meals here! Omega-3 fatty acids have proven to reduce levels of inflammation in the body and are largely known for their role in cardiovascular health, along with showing promise in reducing feelings of anxiety and depression. Fatty fish (such as such as salmon, anchovies, herring, mackerel, tuna, and sardines) contain high amounts of the omega-3 fatty acids eicosapentaenoic acid (EPA) and docosahexaenoic acid (DHA), which offers anti-inflammatory effects to the body. Walnuts, olive and canola oils, flax and chia seeds are also valuable sources of omega-3. The ginger root or stem is often consumed fresh, dried, and in its oil or powdered form, with the pungent and spicy flavor often complementing Chinese cuisine. But ginger offers much more than a flavor profile to foods, as it also extends anti-inflammatory benefits well-known in alternative medicine. Evidence shows ginger can treat cardiovascular disorders such as atherosclerosis (hardening of the blood vessels) and hypertension (high blood pressure), along with easing pain related to exercise, menstrual periods, headaches, and various forms of arthritis. From headaches to arthritis, consuming turmeric has been used to treat an extensive number of inflammatory diseases. Curcumin, the chemical providing the vibrant color of turmeric, is suggested to reduce inflammation and combat against infection. 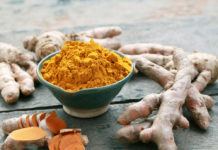 Turmeric may also improve circulation and prevent against blood clotting, while applying topically may manage skin pain and sores, ringworm, bruising, and wounds. Reap the benefits of the aspirin alternative with this nutrient-dense and flavor-packed turmeric milk recipe! Frankincense is the resin from Boswellia trees native to Arabia and India, granting pharmacological properties and clinical effectiveness. 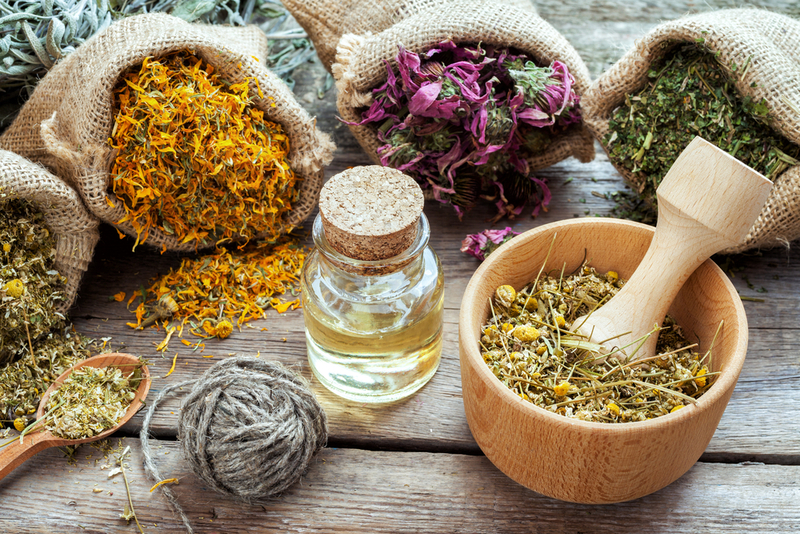 Boswellic acids found in Frankincense oil have shown reliability in treating a range of inflammatory condition, along with alleviating toothaches, mouth sores, and stress. Whereas chamomile may not target inflammation instantly and directly, it can help mitigate an underlying cause: Stress. Ongoing and chronic stress has not only shown to lead to systemic inflammation of the body, but increase the risk of heart disease. While contemporarily utilized for its soothing and relaxing properties, sound research also indicates chamomile can calm nerves. Lavender works similar to chamomile, showing to reduce anxiety, restlessness, and nervousness. The aspirin alternative has also shown to be as effective as medication, further reducing the worry of drug dependence.